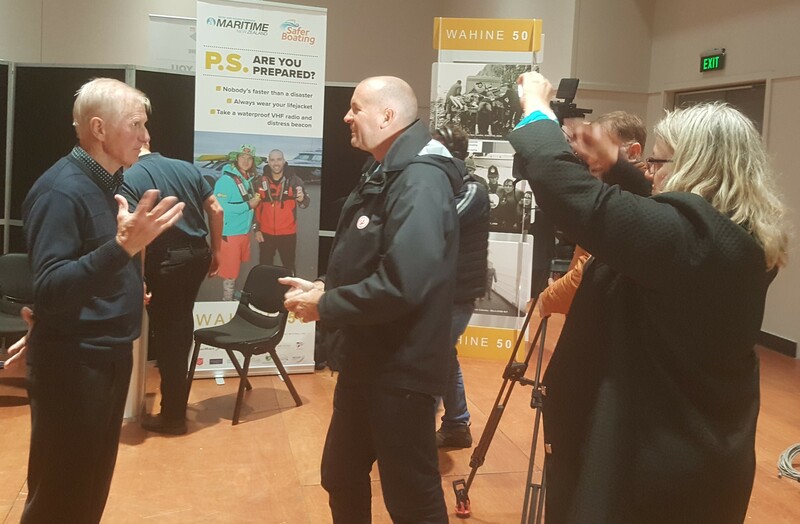 The Wellington waterfront hosted the Wahine 50 – PS Are You Prepared display of Wellington’s emergency response organisations on the 10 April to mark the 50th anniversary of the Wahine disaster. 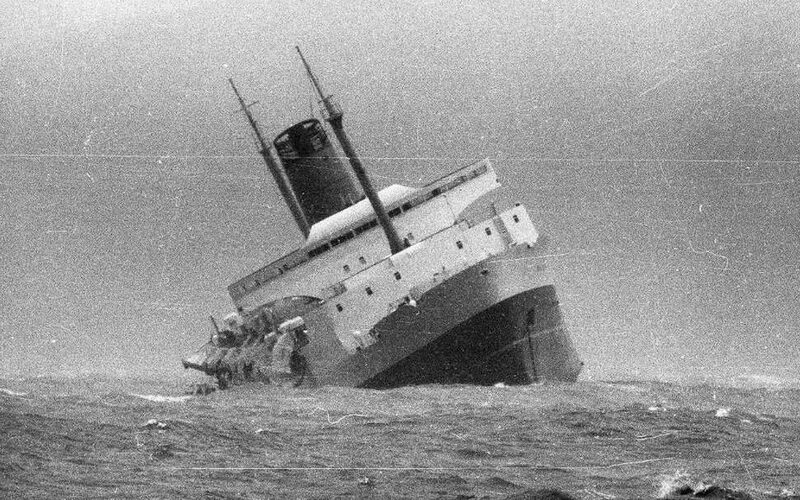 The sinking of the ferry Wahine is one of New Zealand’s worst modern maritime disasters, with a loss of 53 lives. The 50th commemoration of the disaster took place on 10 April 2018. The display coincided with the NZSAR Awards at which past National Director, Jeff Sayer, received an award from the Governor-General, Her Excellency The Rt Hon Dame Patsy Reddy, for more than 50 years of service to the SAR sector. The Certificate of Achievement for Support Activity award is for important contributions to search and rescue. The theme for the display was Are You Prepared with organisations such as Police, Fire, Ambulance, Salvation Army, LandSAR, Coastguard, and Civil Defence all with stands providing information. 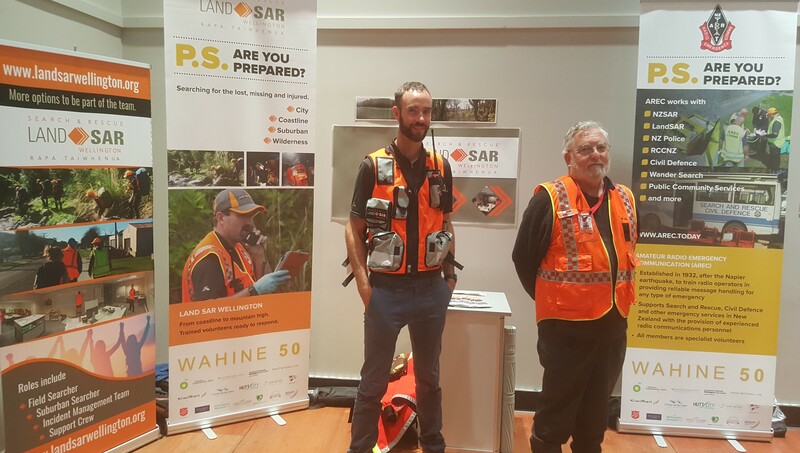 Don Robertson headed up the AREC response for the Wahine 50 – PS Are You Prepared display in conjunction with LandSAR Wellington. The event was well attended by members of the public with the media providing good coverage of the event.